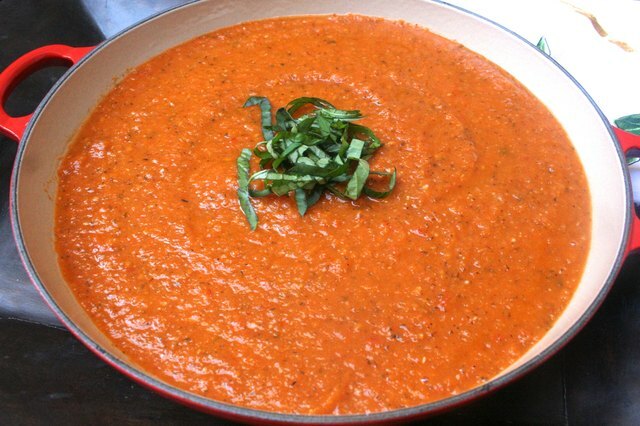 Making tomato sauce from fresh tomatoes is really as easy as one, two, three. But as simple as the process may be, you'll need to devote a few hours of cooking time to get it just right. This fresh tomato sauce is delicious atop classic spaghetti, or even better when served with chicken Parmesan. Warm a large pot over medium heat, and then add olive oil. Once the oil is hot, dice the onion and garlic and add them to the pot . 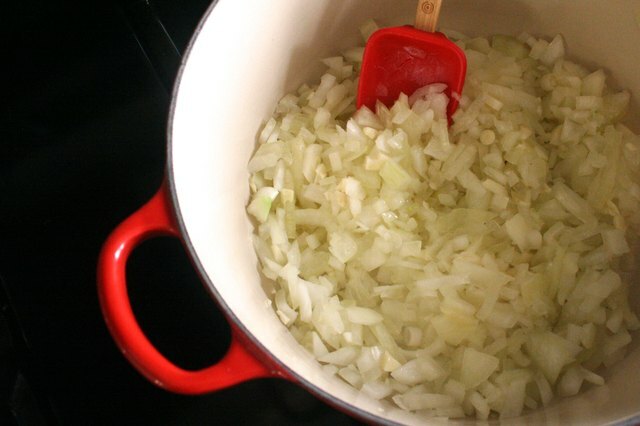 Cook the onion and garlic until they're translucent and aromatic, about four to six minutes. Dice two-and-a-half pounds of the tomatoes, or about half of the portion. 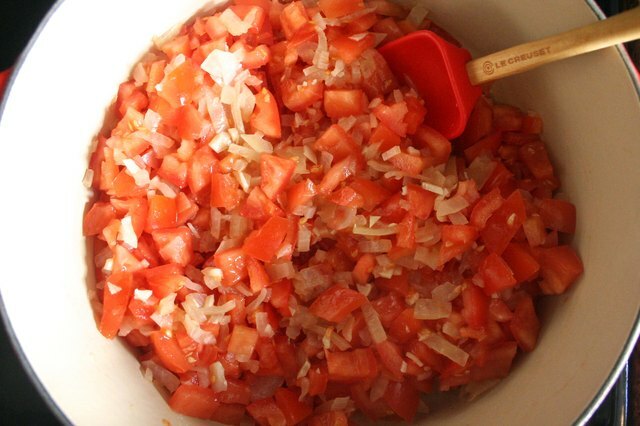 Add the diced tomatoes to the onion and garlic mixture and stir together. 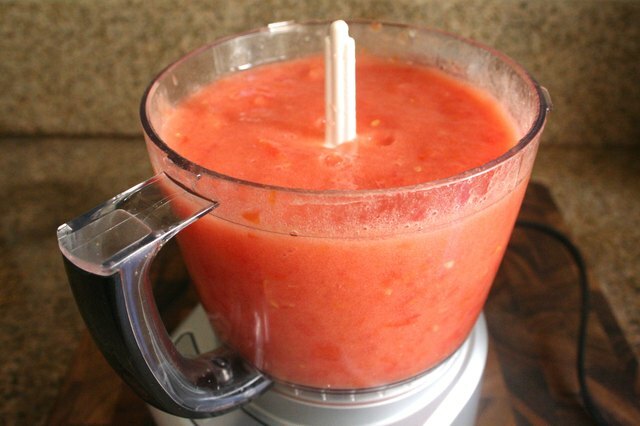 Using a food processor or a blender, puree the remaining tomatoes. Pour the mixture into the pot with the diced tomatoes, onion and garlic. Mix the ingredients together. 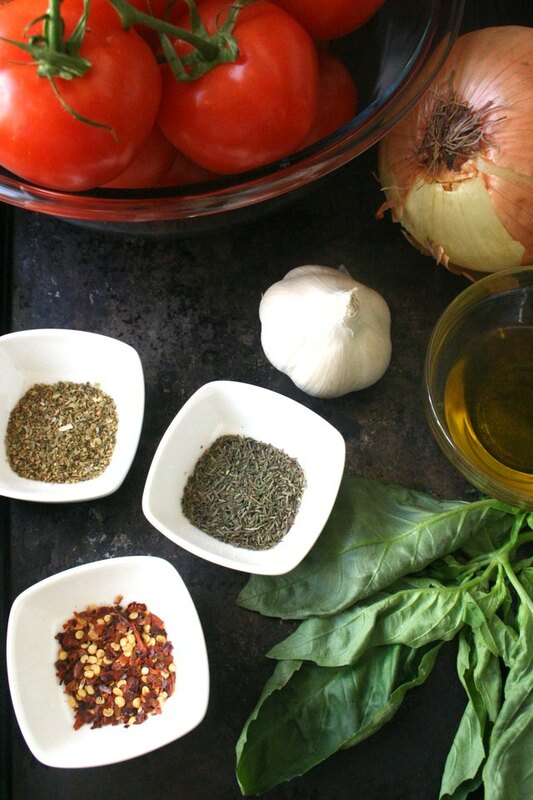 Add all of the seasonings to the tomato mixture, including the dried thyme, dried oregano, fresh basil and crushed red pepper. Season the sauce with one to two teaspoons of salt and one teaspoon of pepper. 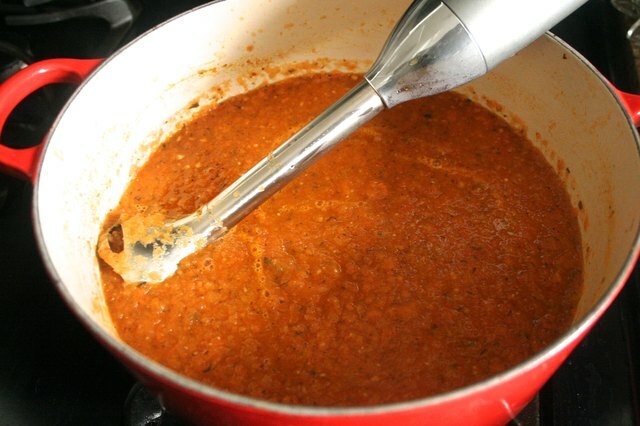 Place a lid on the pot and cook sauce on a low heat for two hours, stirring occasionally. 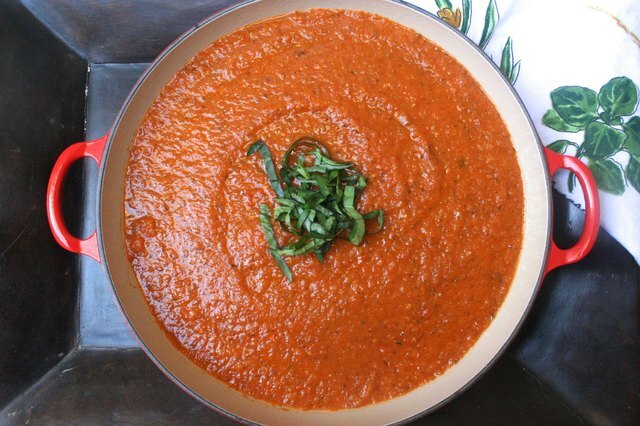 Using an immersion blender or food processor, blend all of the ingredients together to create a consistent texture. Place the lid back on the pot and allow the sauce to simmer for an additional 60 to 90 minutes, stirring occasionally. Season with additional salt and pepper, if necessary. 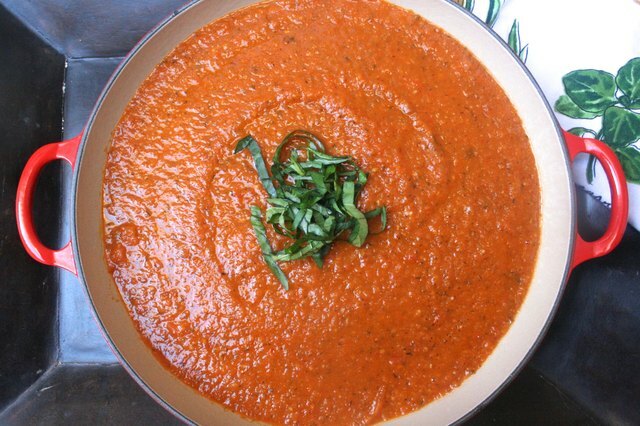 Serve sauce hot, atop pasta or chicken, and garnish with chopped basil. How Do I Properly Freeze a Fresh Tomato for Future Use?